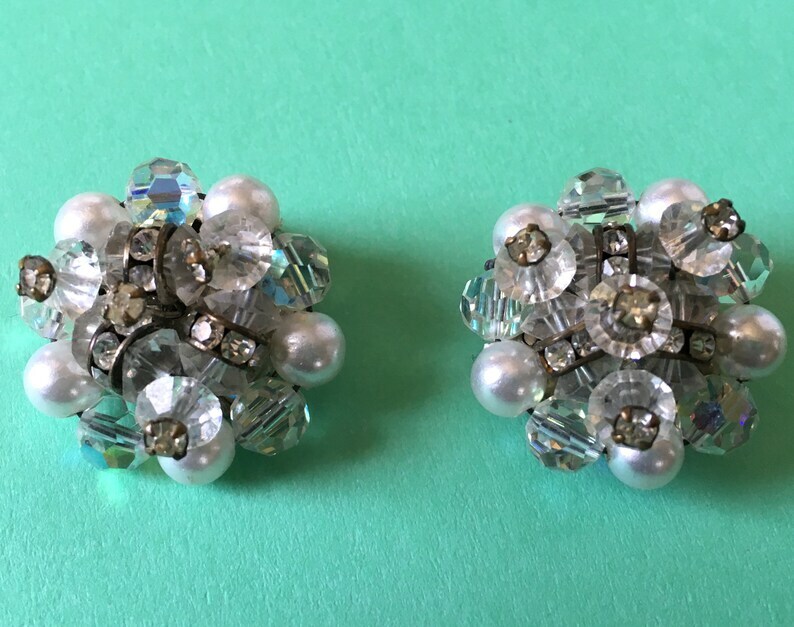 Vintage Sparkling AB Crystals with Clear Rhinestones & White Pearls on Silver Tone Clip On Earrings 1960s Beautiful! 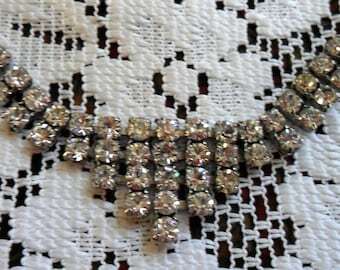 Beautiful vintage clip-on earrings with sparkling AB Crystals, clear rhinestones & white pearls. 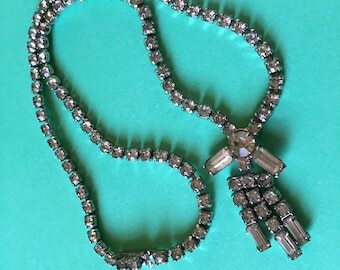 Each earring has 15 AB crystals, 16 clear rhinestones & 5 white pearls - gorgeous! These are clip on so are perfect for anyone. 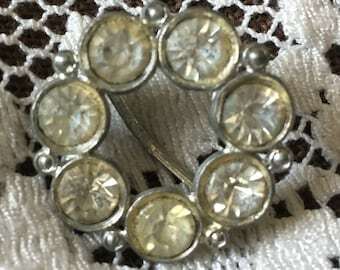 The earrings measure approx 1" diameter. 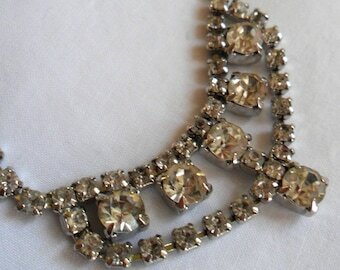 These earrings are in very good vintage condition. The clips spring closed and hold securely. 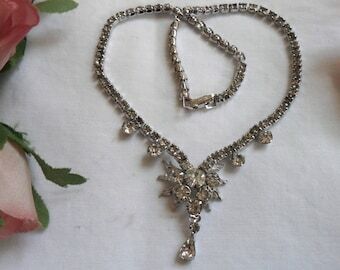 Please look at our pictures and ask any questions you may have. 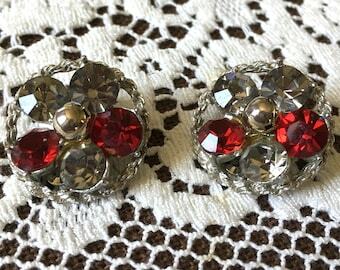 Vintage Sparkling Ruby Red & Diamond-Clear Large Rhinestones on Silver-Tone Rope Clip On Earrings 1960s Stunning! 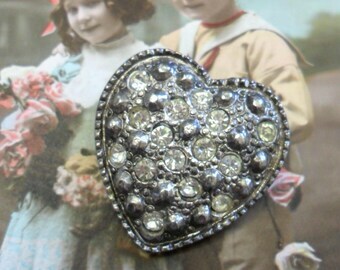 Vintage Sparkling Clear Rhinestones in a Heart Shaped Silver Plated Brooch Pin 1950s Beautiful!